Caique Momma: Happy Noo Year! 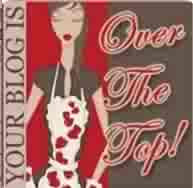 Well HI there Bloggettes! A very Happy Noo Year to you all! I do hope you've all had a lovely time over the festive period. I have! I've been nicely spoilt by my lovely OM! He's a sweetie. So we've just gone live with our first challenge of the year over at Totally Gorjuss We decided to make our first theme 'thank you' which is appropriate for this time of the year. I coloured up this sweet little Magnolia. Now I know this is one of the Christmas collection but I think she's one that can be used all year. I mean we get presents on our birthdays don't we? I used some Basic Grey Euphoria papers, Prima flowers and ribbon. The sentiment is a stamp by Personal Impressions. So on New Years Eve OM and myself headed off to a ball. We feasted on a Chinese Banquet, yum! Well some of us did, some (yup the OM) had a steak! So as a treat/shock here's a pic of me in my finery! I got my Pandora bracelet filled up and a new ring among my pressies. Note the curly hair! One of my presents is a hair curling 'thing'. I'm sure that isn't its proper name but I can't put here what the OM said it was!!! Now this 'thing' is fantastic at curling hair, it could also double as a branding iron, I only burnt myself about 10 times lol. So after that not so happy note - I'd like to wish you all much love, happiness and success in 2010, may all your dreams come true. Hi Net ! lol at your post ! and wooooooo hoooooo Net ! look at you gal ! you look good dolled up :).........what's in the qvc box LOL ??? Your card is totally gorjuss Net & so are you! big ((hugs)). NOW WHAT'S IN THE BOX!!! Happy new Year Net - you look really glam all dolled up. Those hair curlers / straighteners are a pest when they burn! I too got a Pandora bracelet for Chritmas and some charms - they are beautiful pieces of jewellery. Love the card you have made. What a gorgeous card,i love your image and papers. You look great there, can't see the scabby face lol! Lovely card too. Oh wow your card is so beautiful! I love this image and must get her too! Beautiful card Net, I love the colours and the sweet image. And don't you look nice all dressed up for the ball. Happy New Year. Whoo look at you Net, you scrub up well!! Gorgeous card Net! Love those red shoes! Love the shoes Net and the snow too. We had quite a bit yesterday but now we have bright blue skies and the kids at school ( actually it's the staff) are all upset that there is no more snow falling. By the way it's nice to know what you look like. You could use this photo for your DT pic!!!!! p.s. I'm also envious at how slim you are!!!!! Lovely card. Love the image! 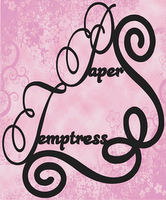 Sweet papers! Werent you spoiled for christmas :D hehe!